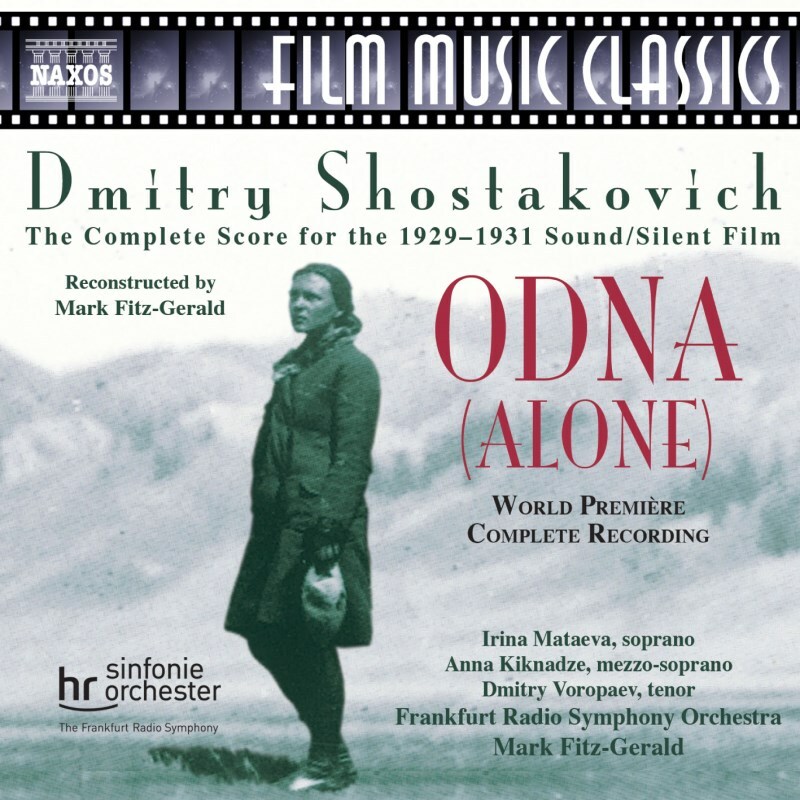 Set in late 1920s Leningrad and then in the Altai Mountains in Russian Mongolia, Shostakovich’s second film ODNA (ALONE) features a dazzling score for a huge orchestra including abanda (8 brass band instruments), theremin, (Shostakovich was one of the first composers to write for this new electronic instrument), barrel-organ, a soprano, mezzosoprano, tenor, an overtone singer and choir. It has been reconstructed from the official Russian version of the film by Mark Fitz- Gerald, with the official approval of Mrs Irina Shostakovich. The recording also restores a short Overture [track 1] and a beautiful, lyrical prelude [track 9] that were not used in the film. The booklet includes notes on the music by leading Shostakovich film music expert, John Riley, and on overtone singing by Mark van Tongeren who performs on the recording. There are also transliterations and translations of the vocal score.